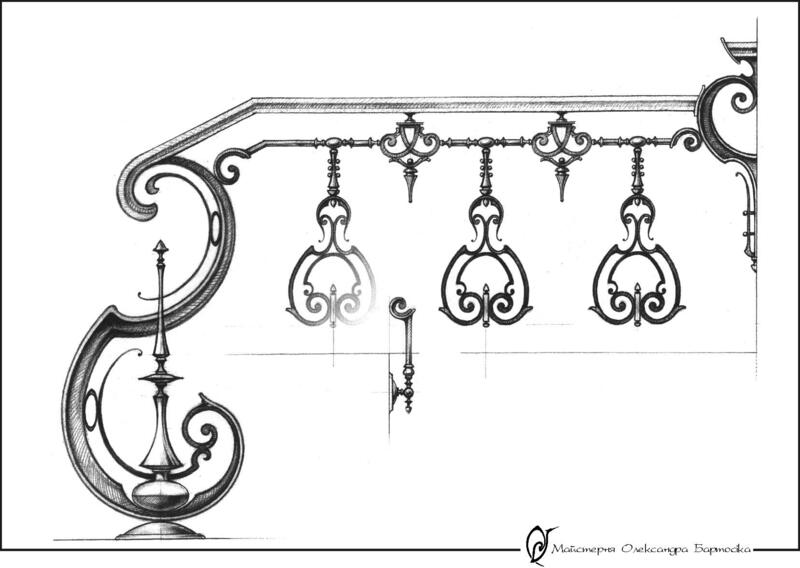 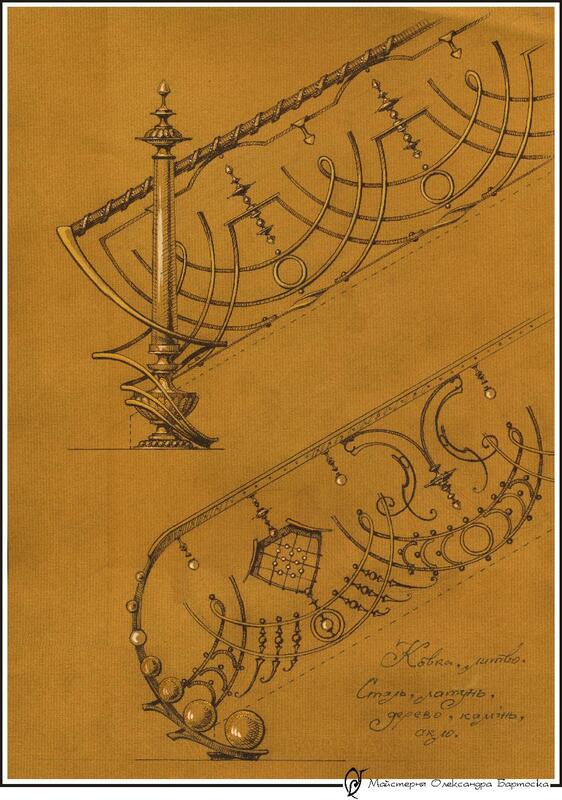 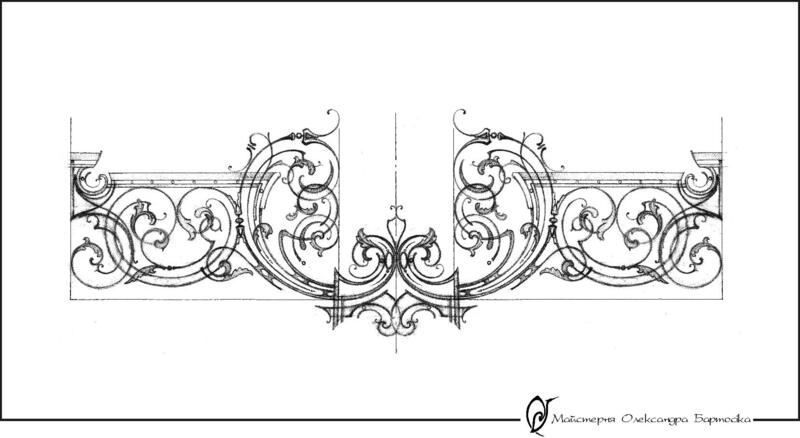 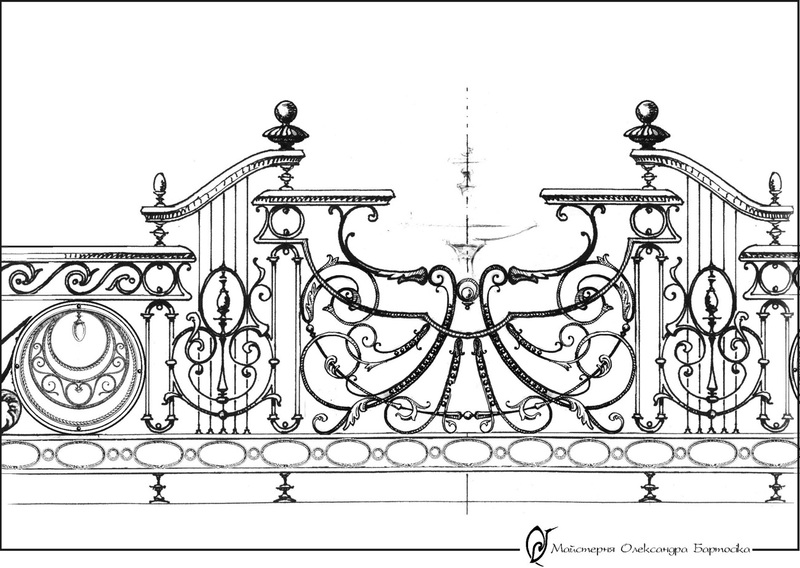 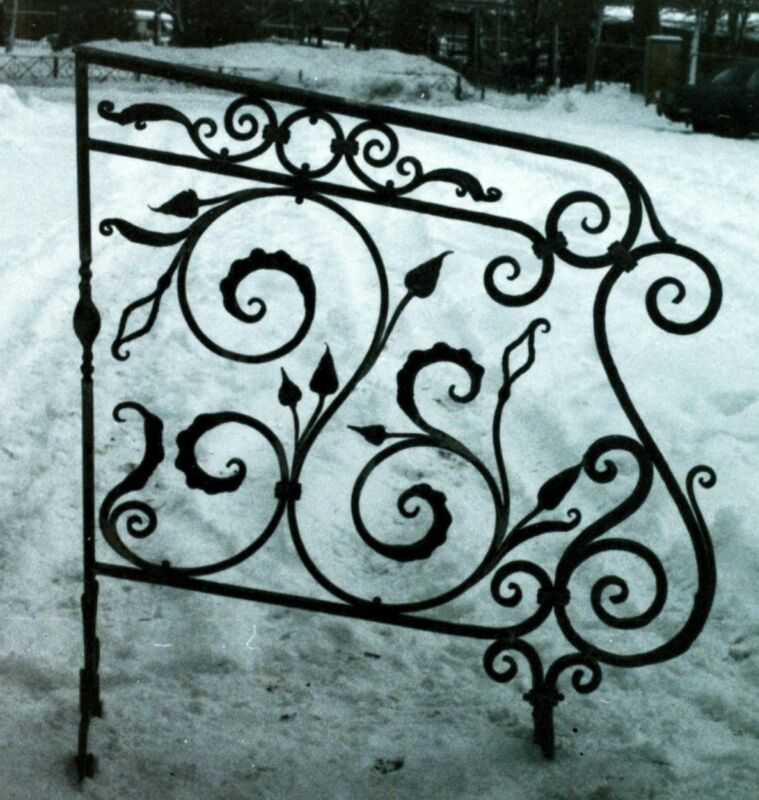 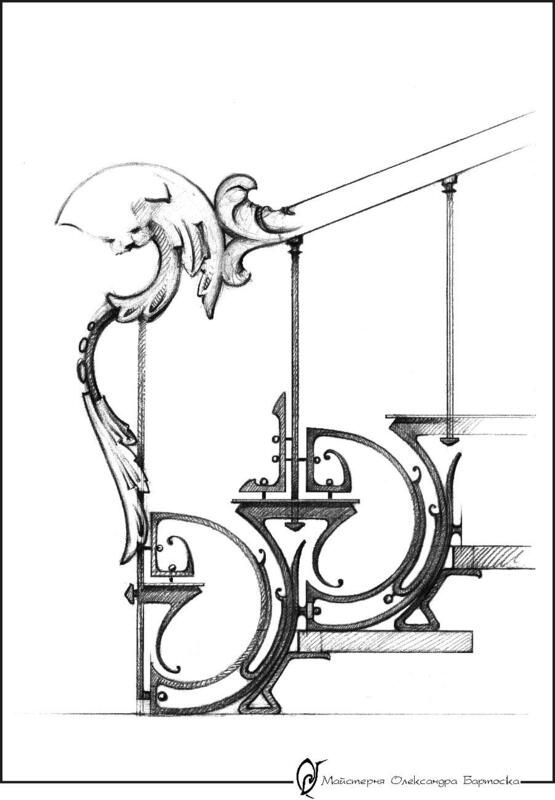 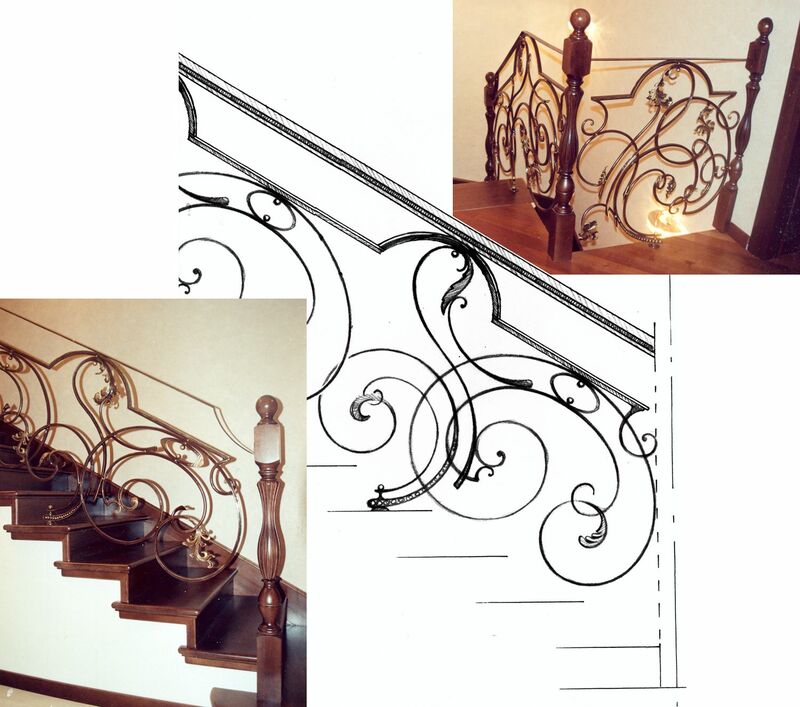 Draft of a railings. 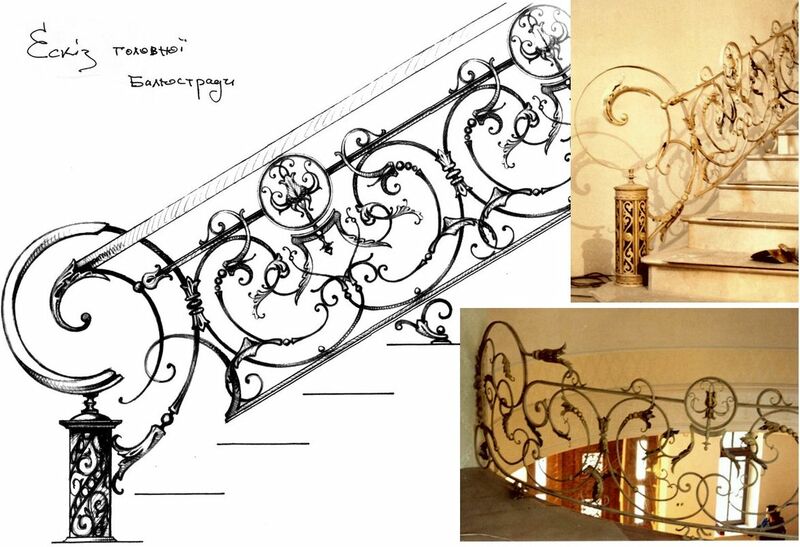 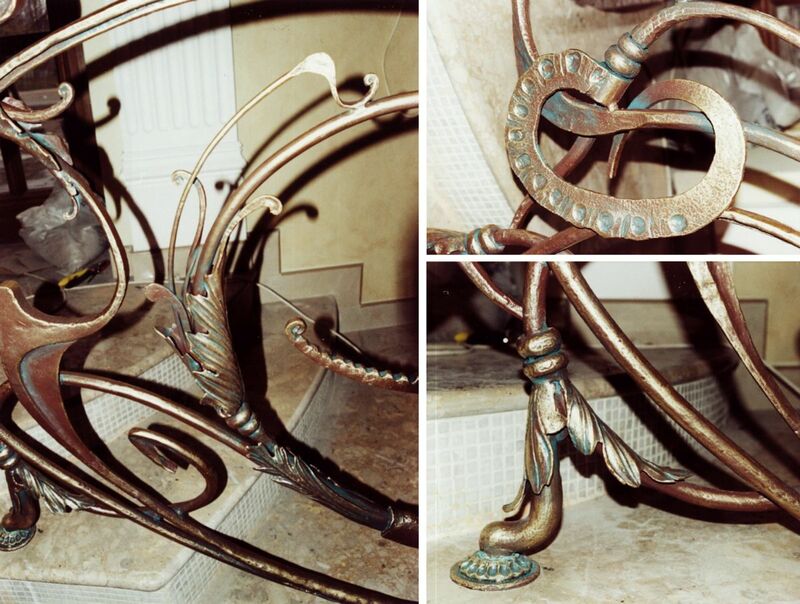 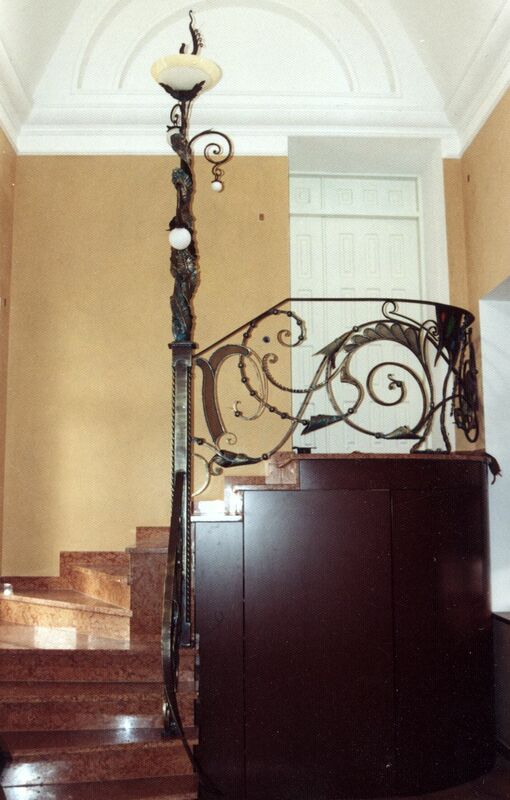 Executor - \"Smithy Vakuly\"
The dominants parts of interior decoration are railings, balustrades, brackets and consoles. 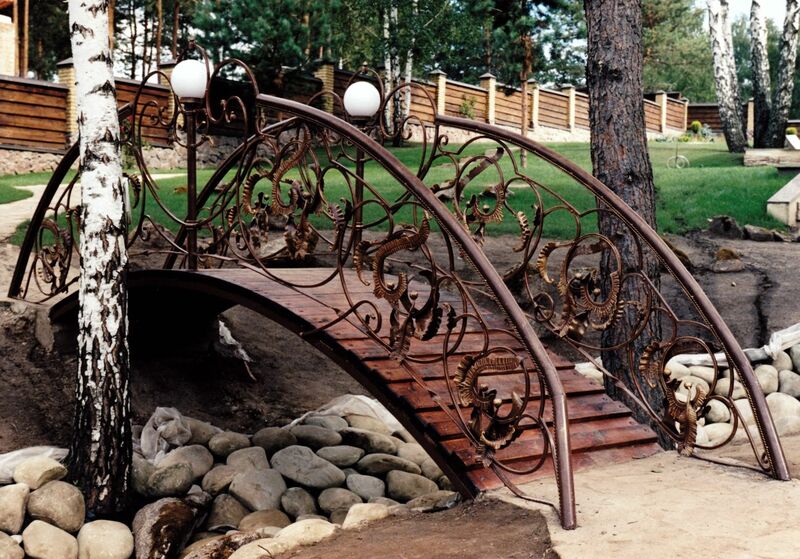 The source of ideas is inexhaustible, like it is in music. 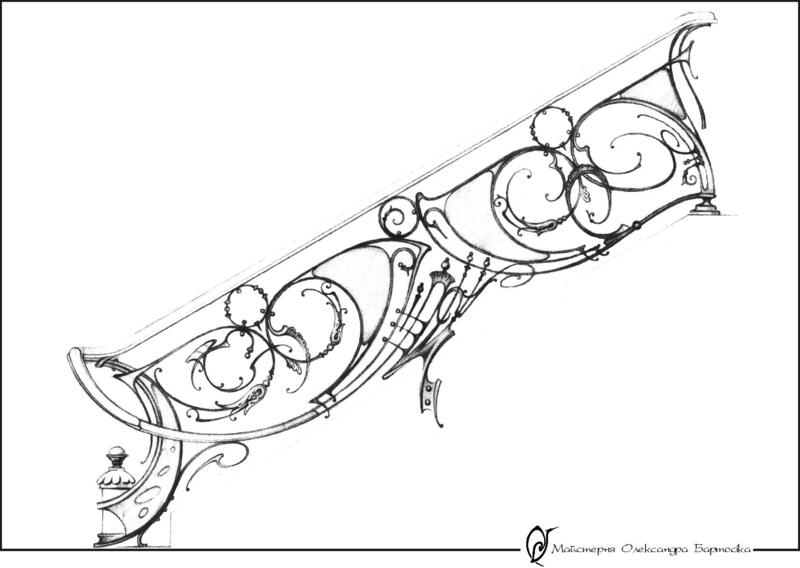 No matter how many compositions are already created, every following one surprises in a new way. 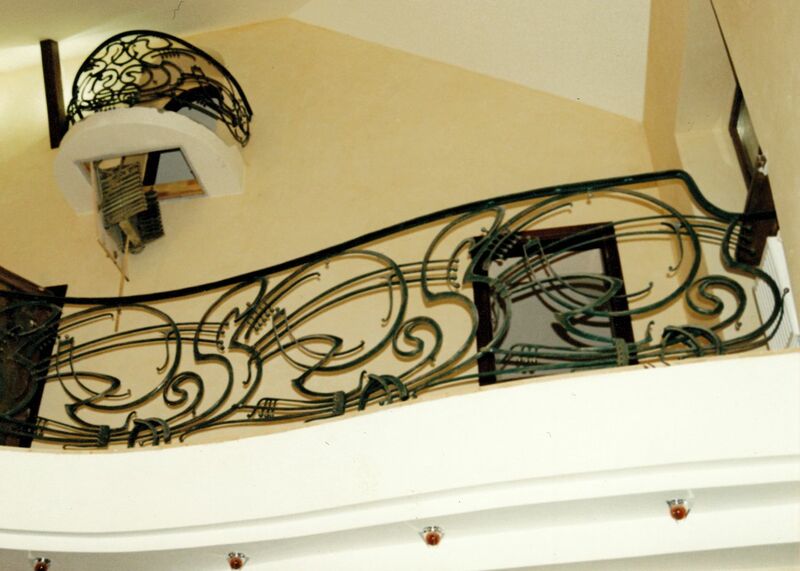 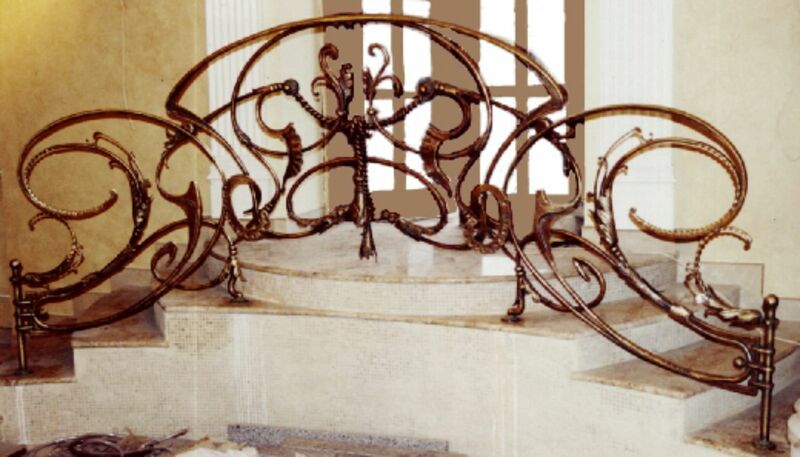 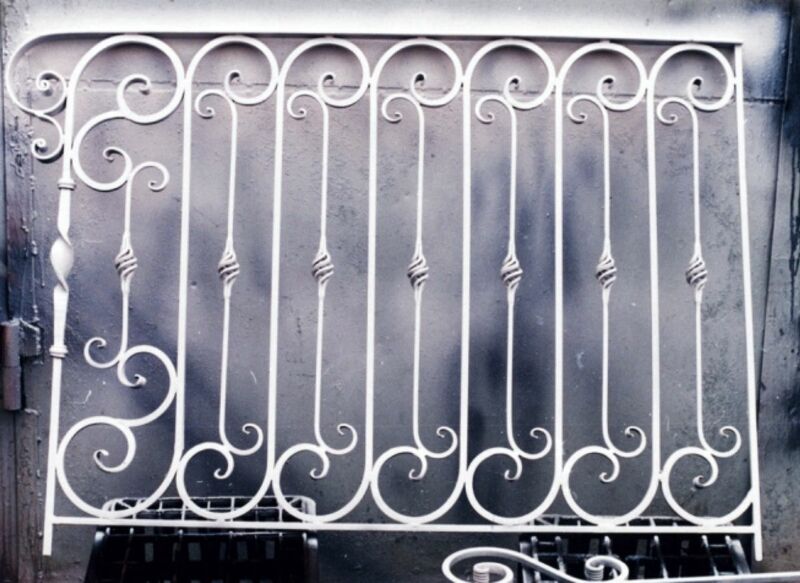 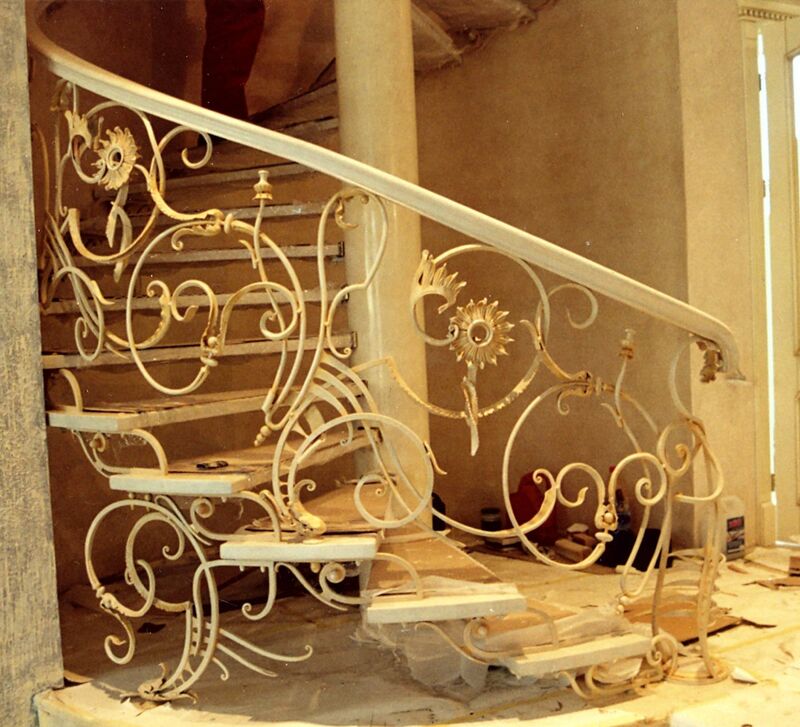 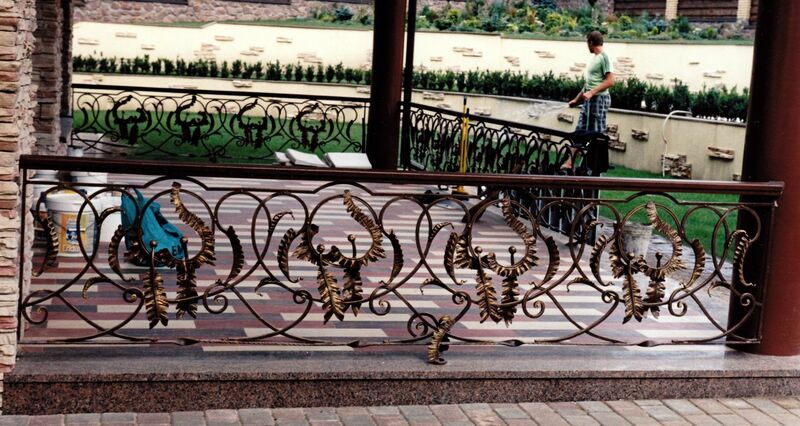 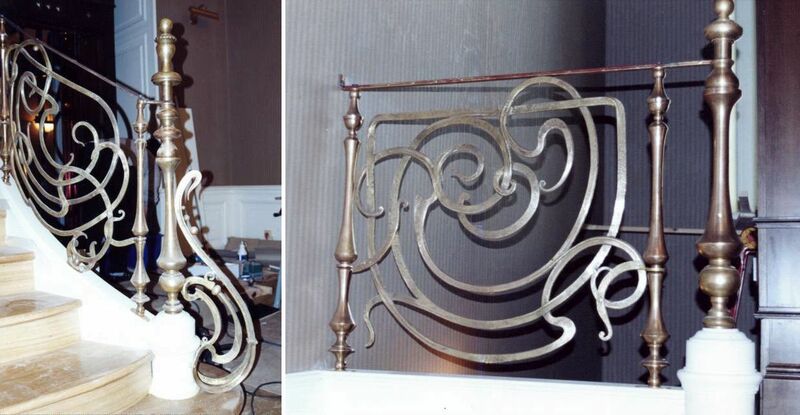 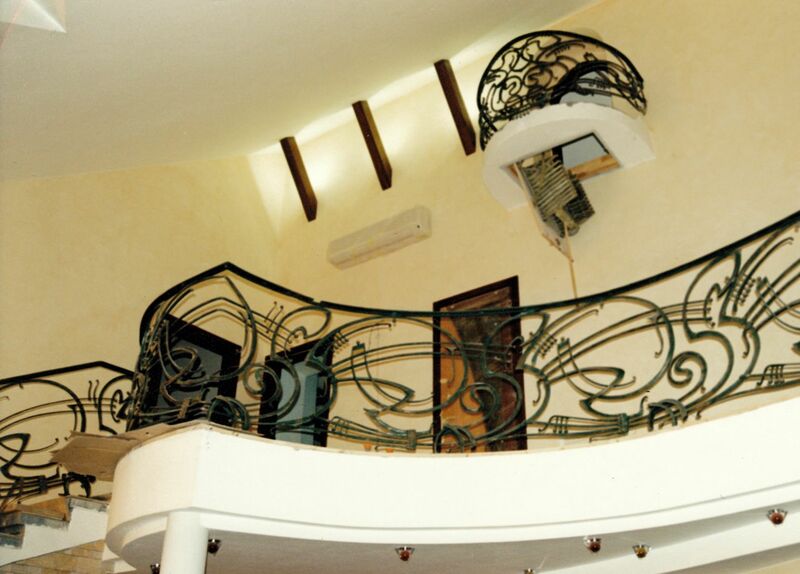 When producing details of interior, namely railings, balustrades, one should pay attention to accuracy of the performer, as these things usually are mounted during last stage of building process. 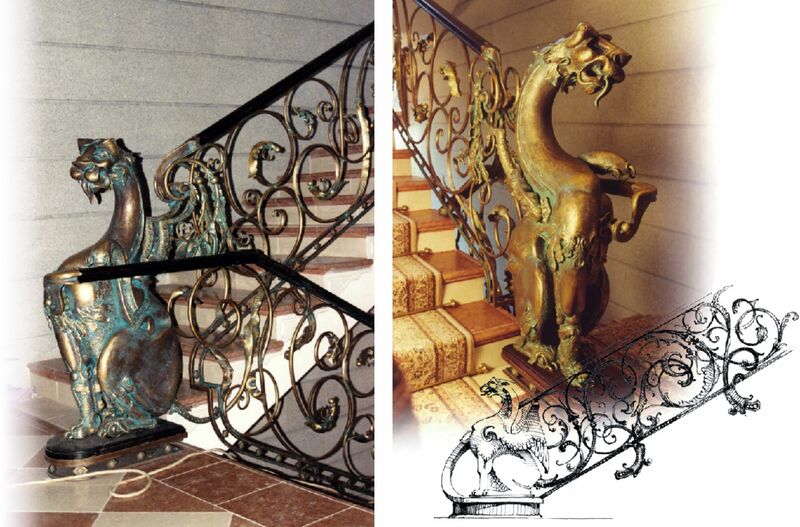 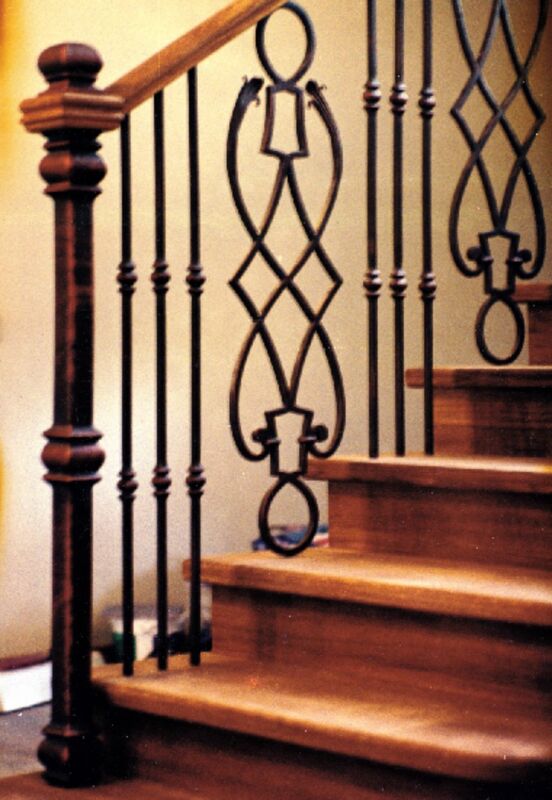 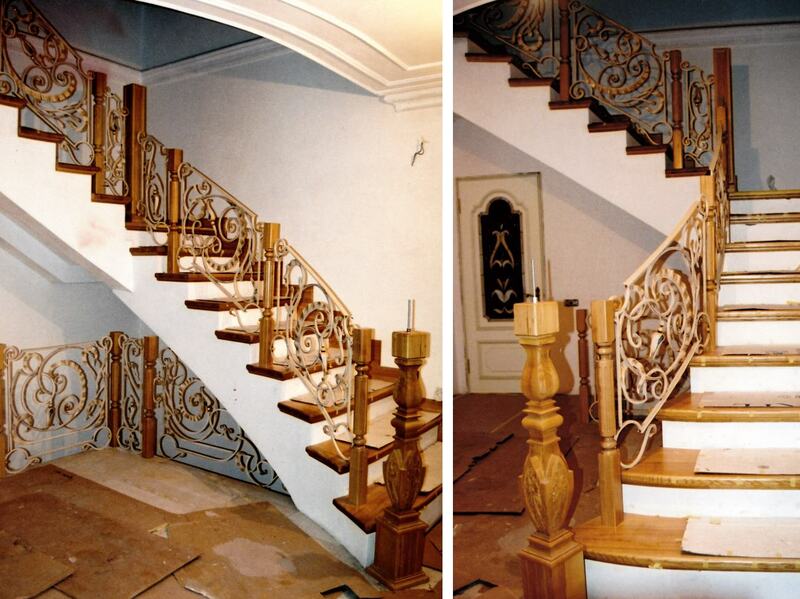 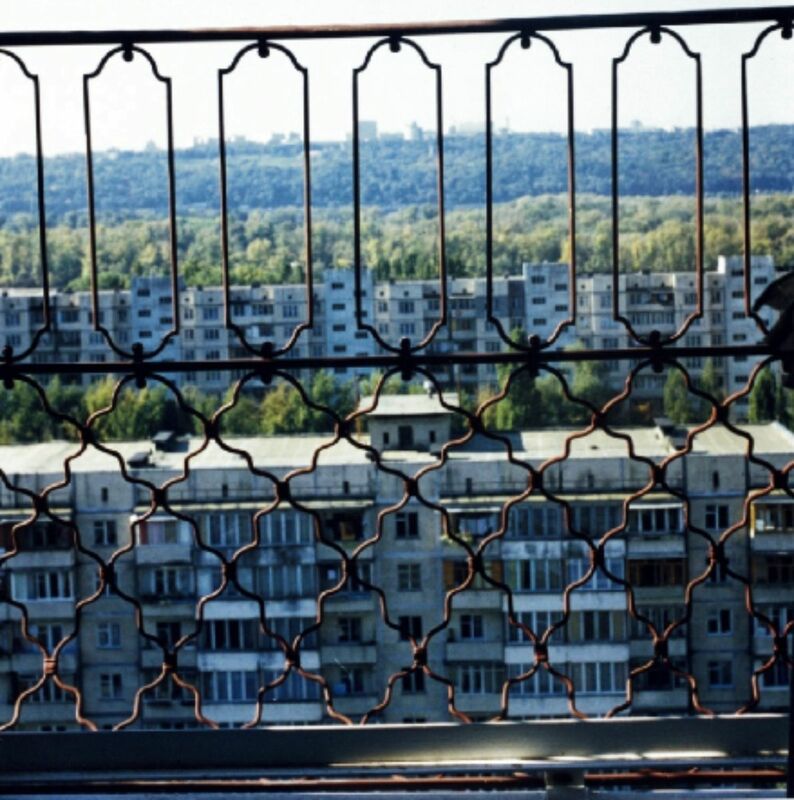 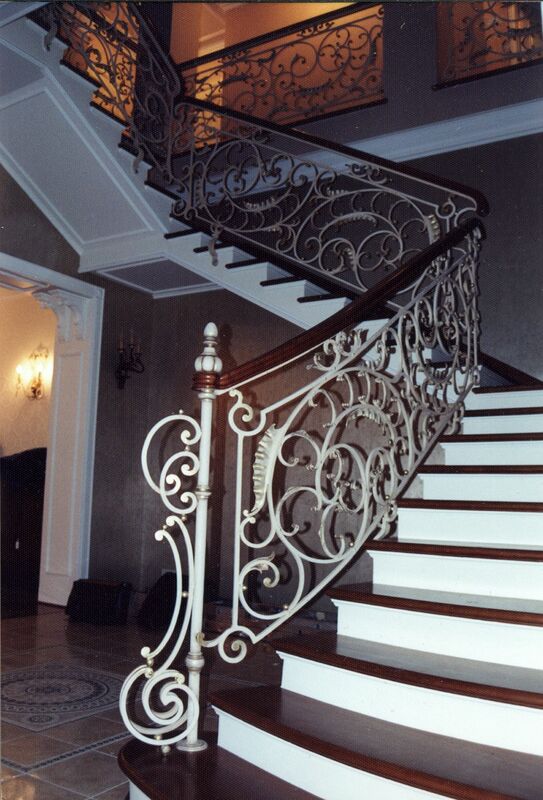 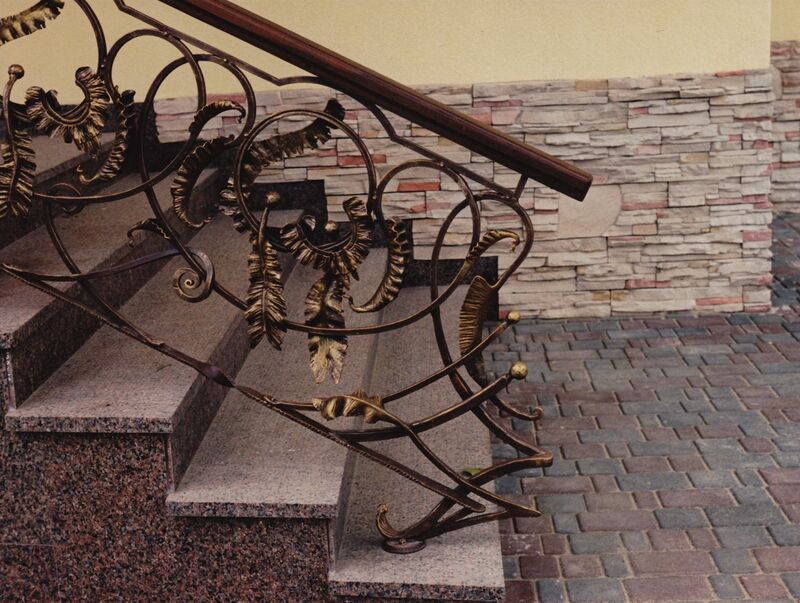 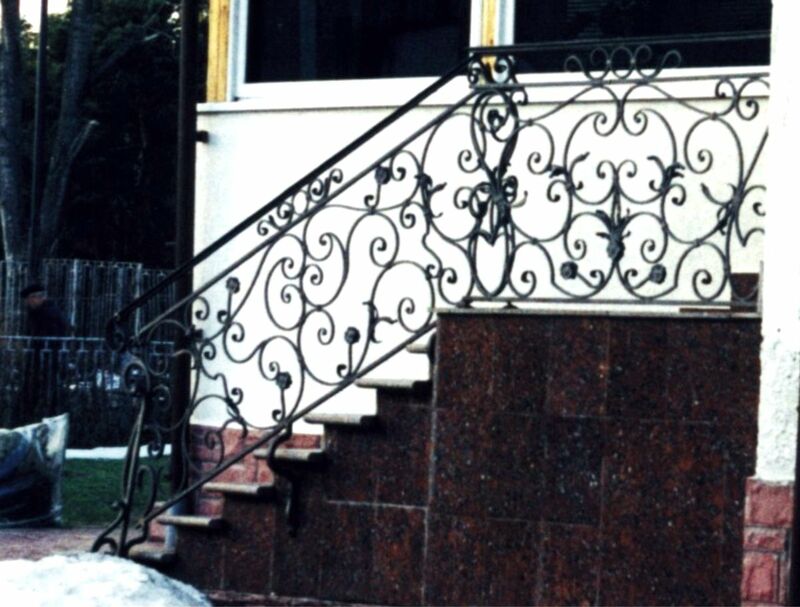 The materials to be used for producing railings are dictated by internal principles of accommodation organization. 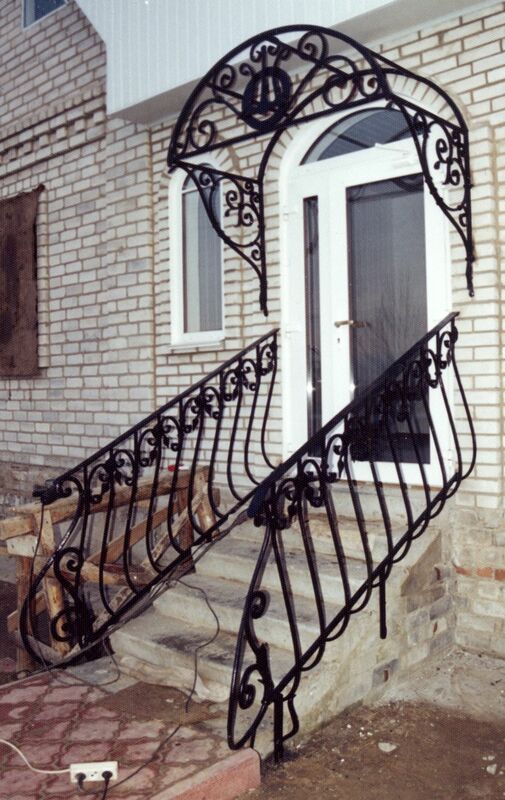 The dominant material is decided: steel, stainless steel, nonferrous metal, wood, marble, glass, but additional details can be of wide variety.